Many things cause our skin to age. Some things we cannot do anything about; others we can. One thing that we cannot change is the natural ageing process. With time, we all get visible lines on our face, and It is natural for our face to lose some of its youthfulness. We notice our skin becoming thinner and drier, and our genes largely control when these changes occur. The medical term for this type of ageing is “intrinsic ageing”. 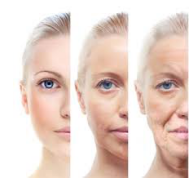 We can influence another type of ageing that affects our skin. Our environment and lifestyle choices can cause our skin to age prematurely. The medical term for this type of ageing is “extrinsic ageing”. These changes are normally due to sun damage, poor diet, smoking and toxins present in the environment, especially in our cities. 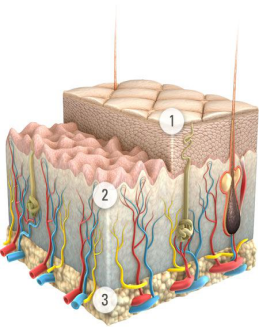 Ageing can occur in each of the layers of our skin, showing different visible signs of ageing. Reduced cell turnover and a lower lipid production, resulting in a rougher, drier texture with fine lines and wrinkles starting to appear. Approximately a 1% annual decrease in collagen and drop in elastin levels. Reduced blood flow. A less elastic skin that’s more likely to become damaged and is more prone to wrinkles. Decrease in the glow associated with younger looking skin. A drop in both size and number of fat cells. A loss of volume, deeper wrinkles and hollowing of the face and cheeks.